Hobo signs pre-date even me. They arose before and peaked during the Great Depression when many people struck bindle-over-shoulder out “riding the rails” in search of jobs and a better existence. In fact I don’t think I have ever seen Hobo Signs in use first-hand, though I am aware of it. Maybe QR Code will be the next logical step. CLICK through the gallery below for Hobo QR Codes developed by the Free Art and Technology Lab, some early Hobo Signs, and a photo of Hobo communication in use (translation unknown … unless lots of kisses). 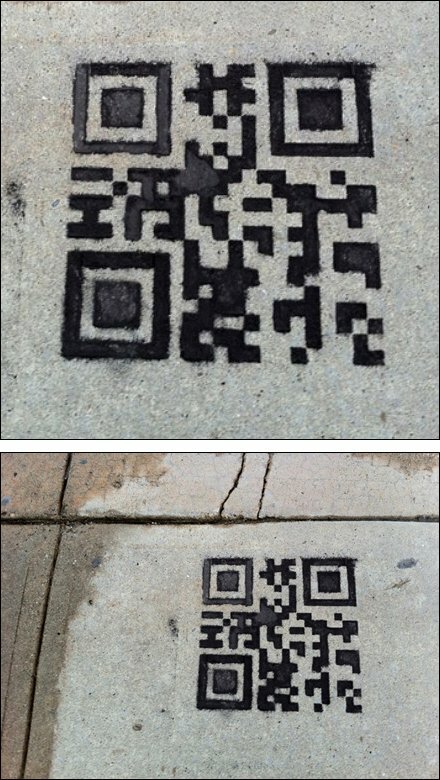 Next step … QR Code advertising spray pained onto surfaces like advertising posters? For the original article see Guerrilla-Innovation.